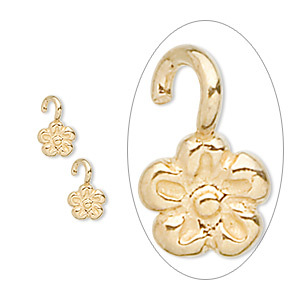 Drop, JBB Findings, gold-finished sterling silver, 5x5mm flower. Sold per pkg of 2. Item Number: H20-7271FD Have a question about this item? 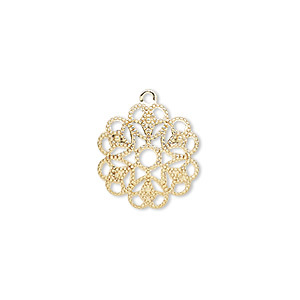 Open loop for easy attachment, made of sterling silver with a gold finish. 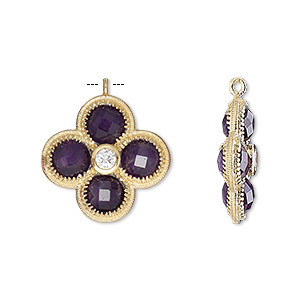 Drop, amethyst (natural) / cubic zirconia / gold-finished sterling silver, clear, 19mm double-sided faceted flower. Sold individually. Drop, black onyx (dyed) / cubic zirconia / gold-finished sterling silver, clear, 19mm double-sided faceted flower. Sold individually. Drop, carnelian (dyed / heated) / cubic zirconia / gold-finished sterling silver, clear, 19mm double-sided faceted flower. Sold individually. Drop, chalcedony (dyed) / cubic zirconia / gold-finished sterling silver, clear and blue, 19mm double-sided faceted flower. Sold individually. Drop, labradorite (natural) / cubic zirconia / gold-finished sterling silver, clear, 19mm double-sided faceted flower. Sold individually. 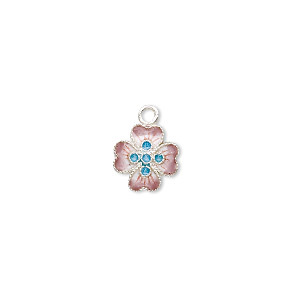 Drop, sterling silver with cloisonné, brown, 10x10mm flower. Sold individually. 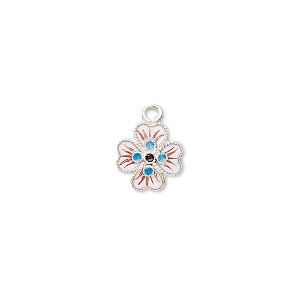 Drop, sterling silver with cloisonné, white, 10x10mm flower. Sold individually. Drop, sterling silver, 13.5x11mm diamond-cut flower. Sold individually. 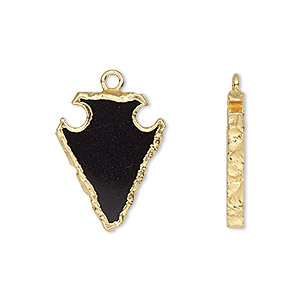 Drop, black onyx (dyed) / electroplated gold / gold-finished sterling silver, 20x15mm hand-cut arrowhead. Sold per pkg of 2.